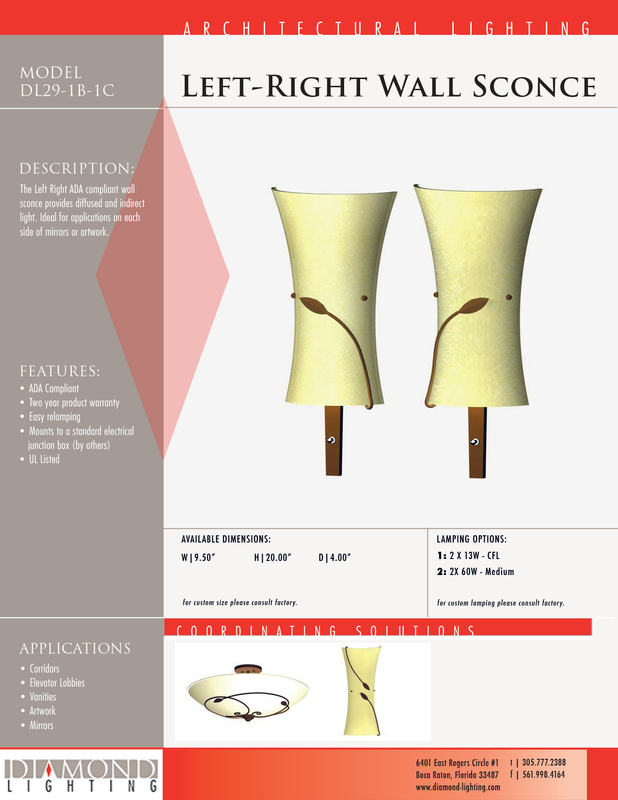 The Left Right ADA compliant wall sconce provides diffused and indirect light. Ideal for applications on each side of mirrors or artwork. 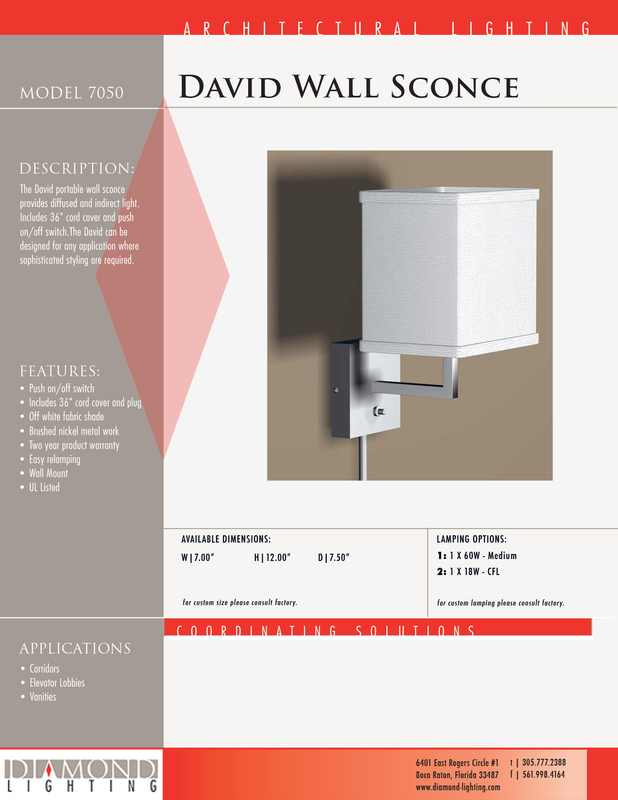 The DL29-1A ADA compliant wall sconce provides diffused and indirect light. 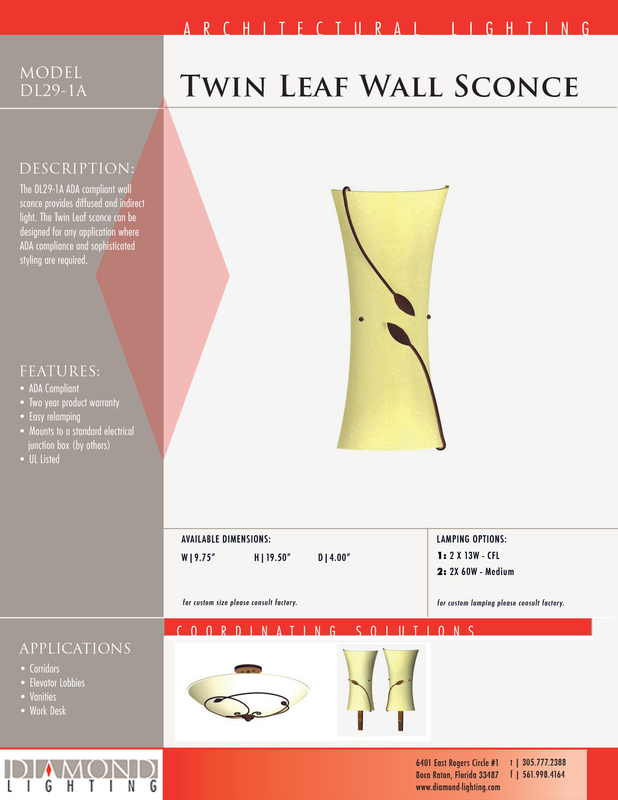 The Twin Leaf sconce can be designed for any application where ADA compliance and sophisticated styling are required. 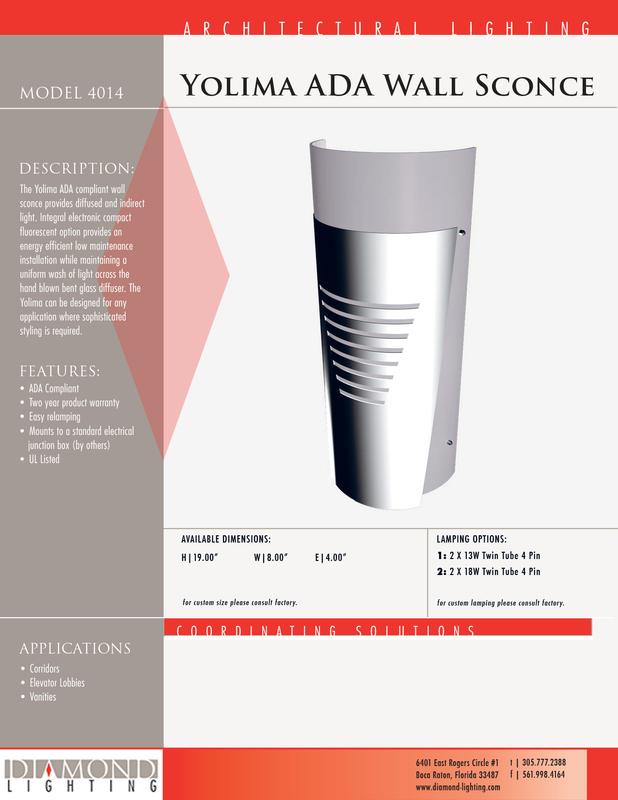 The Valencia ADA compliant wall sconce provides diffused and indirect light. Integral electronic compact fluorescent ballast provides an energy efficient low maintenance option. 18 gauge formed cold rolled steel housing with a clear satin glass diffuser. 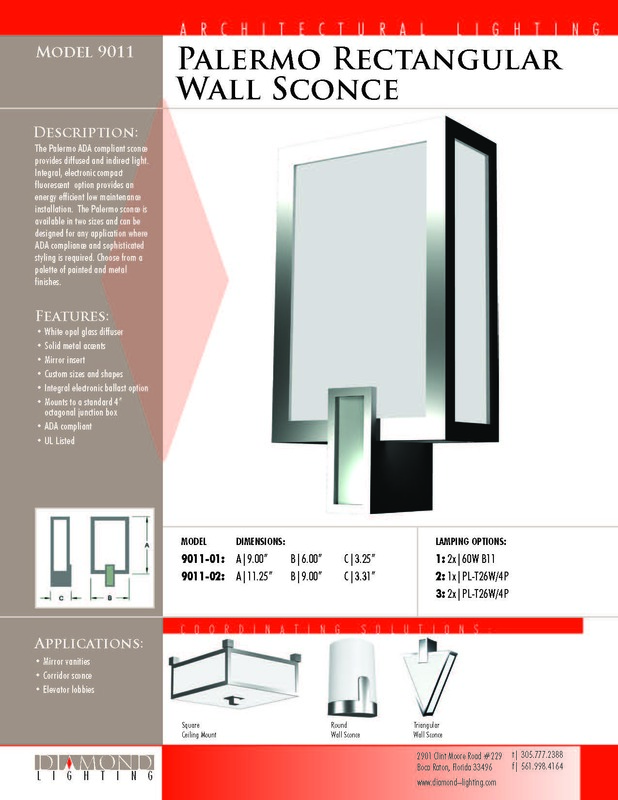 The Valencia sconce is designed for applications where ADA compliance and sophisticated styling are required. Choose from a palette of painted and metal finishes. The Yolima ADA compliant wall sconce provides diffused and indirect light. Integral electronic compact fluorescent option provides an energy efficient low maintenance installation while maintaining a uniform wash of light across the hand blown bent glass diffuser. The Yolima can be designed for any application where sophisticated styling is required. The Santa Marta ADA wall sconce provides diffused and indirect light. The Santa Marta can be designed for any application where sophisticated styling is required. 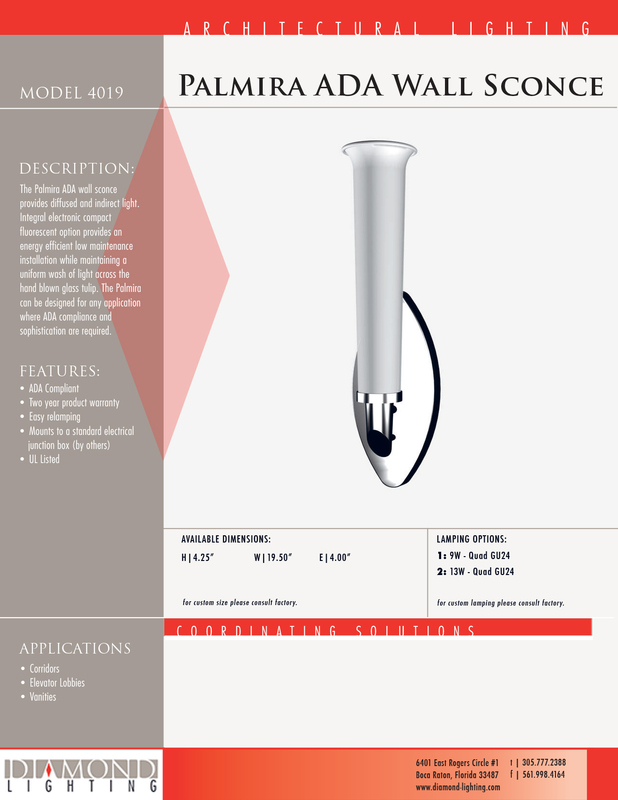 The Palmira ADA wall sconce provides diffused and indirect light. Integral electronic compact fluorescent option provides an energy efficient low maintenance installation while maintaining a uniform wash of light across the hand blown glass tulip. The Palmira can be designed for any application where ADA compliance and sophistication are required. 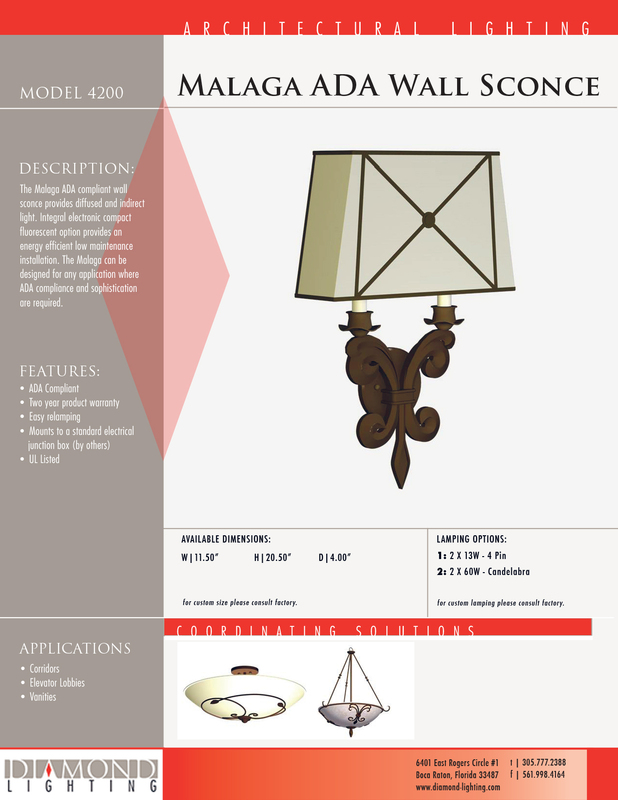 The Malaga ADA compliant wall sconce provides diffused and indirect light. Integral electronic compact fluorescent option provides an energy efficient low maintenance installation. The Malaga can be designed for any application where ADA compliance and sophistication are required. 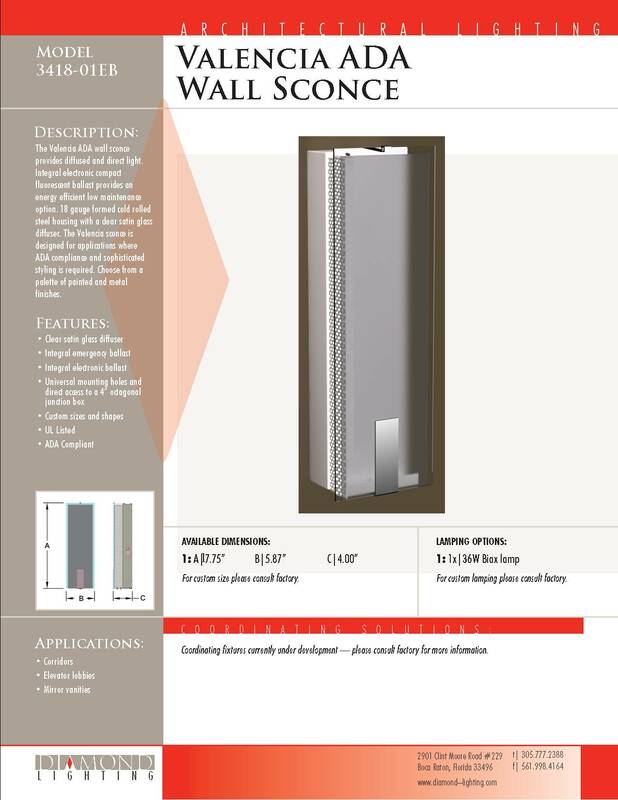 The Palermo ADA compliant wall sconce provides diffused and indirect light. Integral electronic compact fluorescent option provides an energy efficient low maintenance installation. The Palermo sconce is available in two sizes and can be designed for any application where ADA compliance and sophisticated styling are required. The David portable wall sconce provides diffused and indirect light. Includes 36" cord cover and push on/off switch.The David can be designed for any application where sophisticated styling are required. 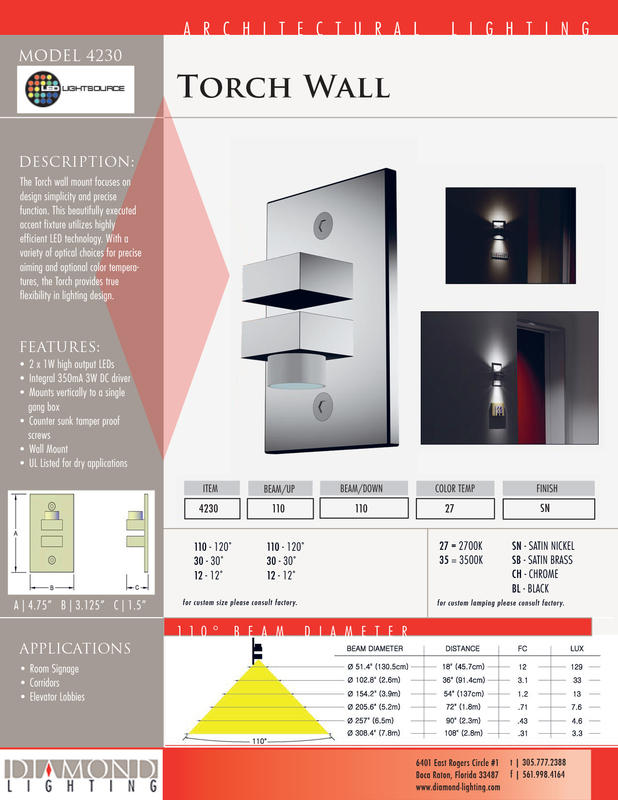 The Torch wall mount focuses on design simplicity and precise function. This beautifully executed accent fixture utilizes highly efficient LED technology. With a variety of optical choices for precise aiming and optional color temperatures, the Torch provides true flexibility in lighting design. 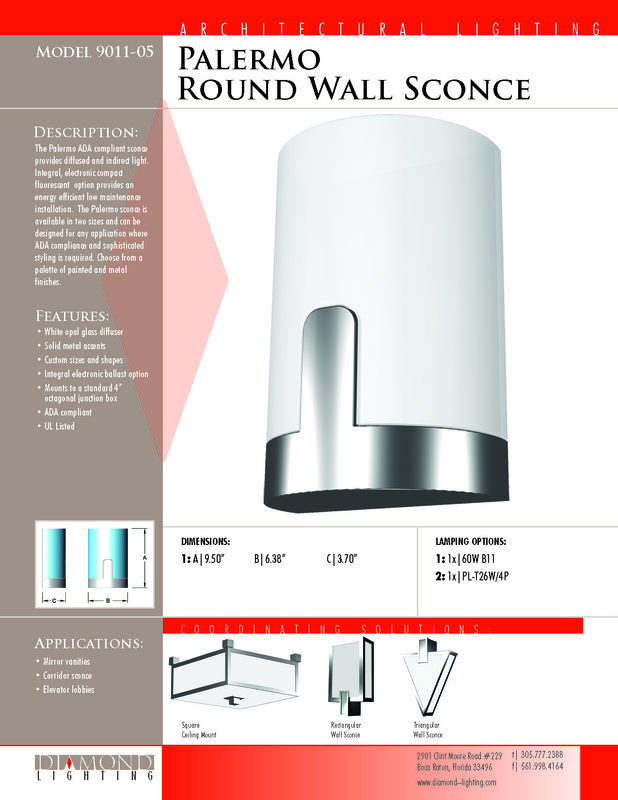 The Palermo ADA compliant sconce provides diffused and indirect light. Integral, electronic compact fluorescent option provides an energy efficient low maintenance installation. 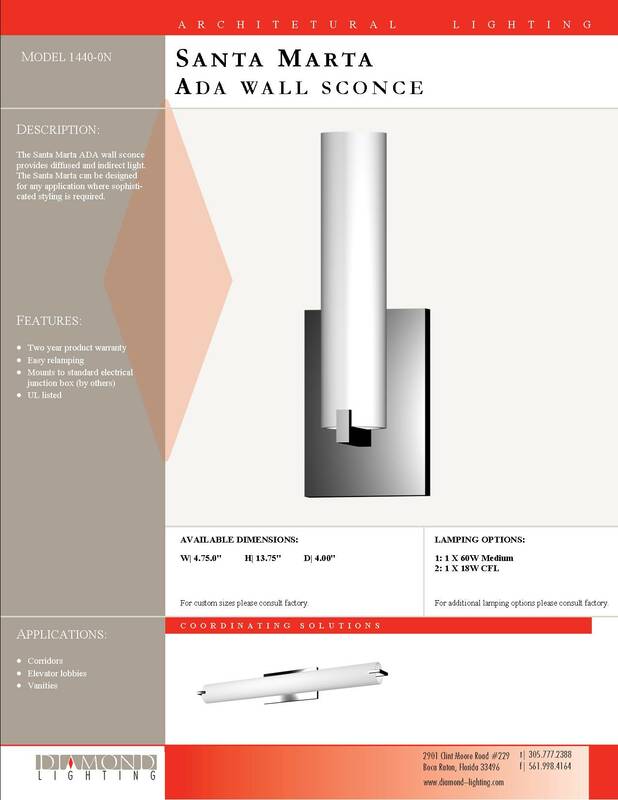 The Palermo sconce is available in two sizes and can be designed for any application where ADA compliance and sophisticated styling are required. Choose from a palette of painted and metal finishes.